A Condair ML Solo high pressure humidification system has been installed in the litho platemaking area at Polestar print company’s award-winning plant in Sheffield. Designed to suppress and disperse electrostatic charges when protective film is removed from the plates, Condair’s low-energy humidifier maintains a relative humidity of 45% in the area. 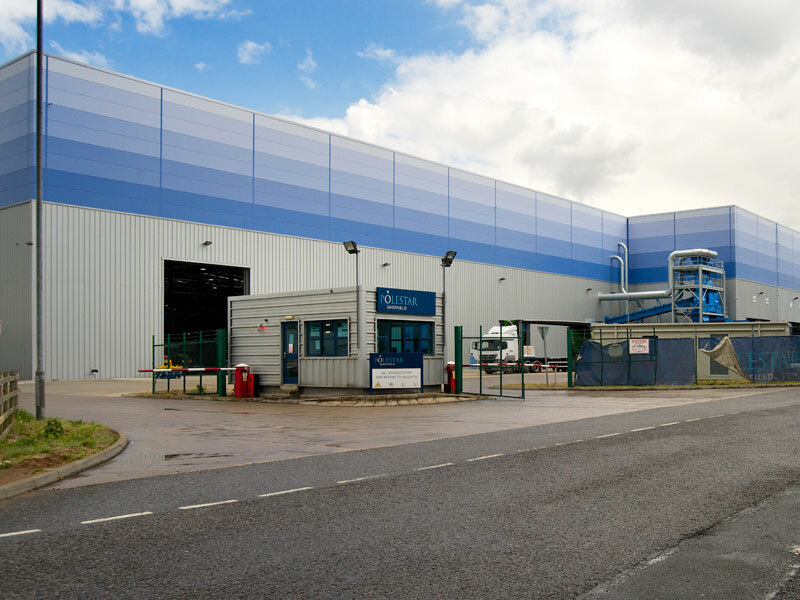 The project was carried out by Cambridgeshire-based HVAC and process engineering specialist, Arcade. 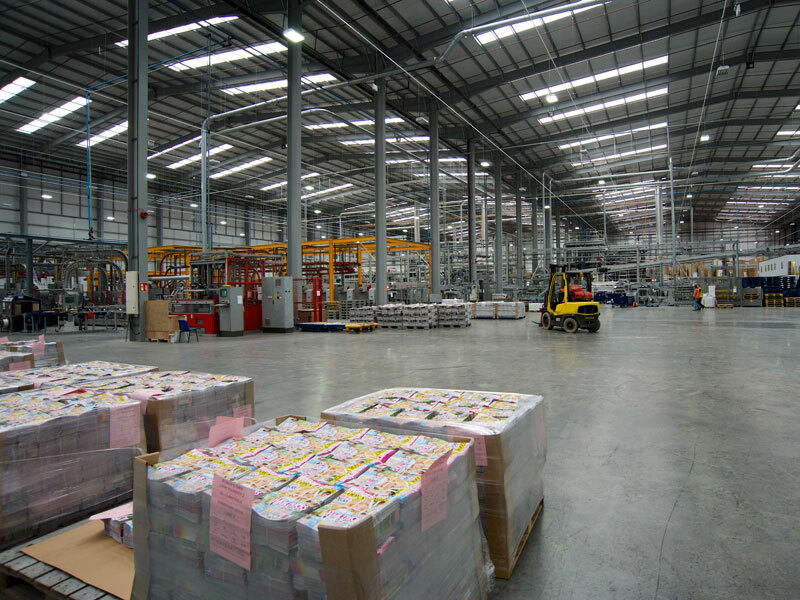 Polestar Sheffield produces 2.5 million high-quality catalogues, magazines, brochures and newspaper supplements every day. Part of Polestar Group, the company produces many well-known titles including Cosmopolitan, Radio Times, Woman’s Own, Country Life and many Sunday newspaper supplements. With a strong focus on printing excellence and productivity at Polestar, the new humidifier installation provides an effective solution to the problem of electrostatic charge generation when protective paper is removed from the litho plates. By reducing and dissipating the electrostatic charge, the paper and plates are easier to handle, it prevents the attraction of dust and reduces the risk of spark generation. The Condair ML humidifier delivers ultrafine sprays directly into the air, which rapidly evaporate to maintain a relative humidity of 45%RH, the level required to counter the effects of static electricity. Joss Williams, Arcade’s Senior Project Manager, said, “The humidifier meets Polestar’s requirements and the customer is happy. Previous experience of Condair as JS Humidifiers has been good”. When it came to this installation, the versatility of the system and working knowledge of the installation team proved important. Joss Williams continues, “The guys that attended site changed the design to suit the site location with no issues in relation to price. The installation was of a high standard and looks good”. 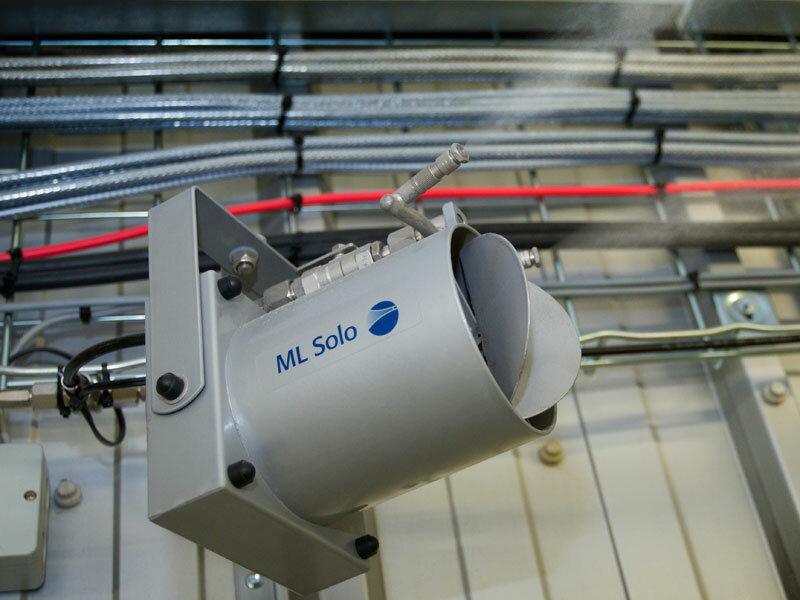 The Condair ML Solo is a low energy, cold water spray humidifier, requiring just 5% of the energy used by equivalent steam humidifiers. This fits well with Polestar’s strong environmental credentials, which seek to minimise its impact on the environment through initiatives such as recycling and wastewater management. Ten spray heads are located in the platemaking area, with a capacity to deliver up to 48 litres of pure, demineralised water into the air each hour. 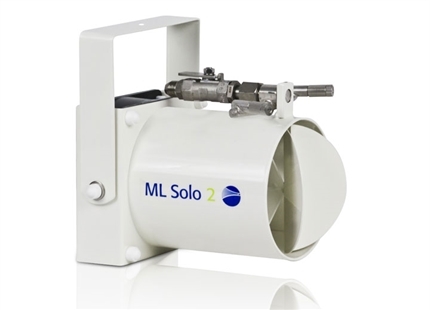 Effective moisture distribution is ensured from the twin jets on each ML Solo unit by a low energy, low noise fan. 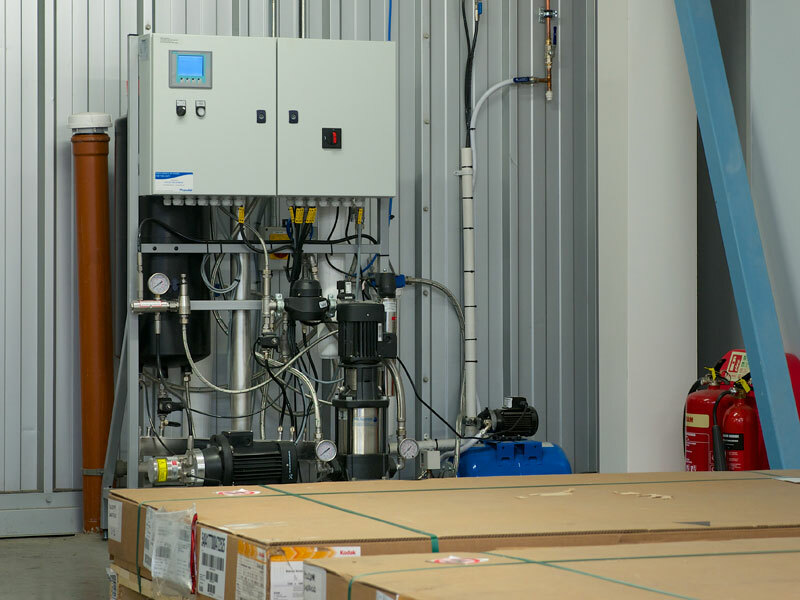 Operating in complete safety at 70bar, the jets are fed with mineral-free water produced centrally by a Condair MLPRO100 pump and reverse osmosis treatment station. The system features a stainless steel, oil-free, high-pressure pump, RO water purification and UV water sterilisation, so low maintenance and pure, hygienic sprays are guaranteed. Pipework is in stainless steel and high grade corrosion-free flexible hoses. Arcade’s work at Polestar Sheffield has included the installation of two chillers, inverter-controlled chilled water pumps, pumping stations, tanks and over 3km of stainless steel pipework, with Condair undertaking the installation of the humidification system on behalf of Arcade. Condair’s ML Solo humidifier is widely used in the printing industry around the world, particularly in paper storage, press halls and print finishing. An environment of 45-55%RH effectively deals with problems caused by dry air such as tight edges, paper curl, misfeed and web breaks, and effectively disperses ‘static and dust. In an industry where temperatures can get high, the cold water humidifier also offers the benefit of free cooling - up to 33kW from a system like the one at Polestar. It is also widely used for humidification and evaporative cooling in many other industrial applications such as woodworking and textiles, commercially in horticulture, in applications such as supermarkets to maintain the quality of fresh vegetables, and in offices. 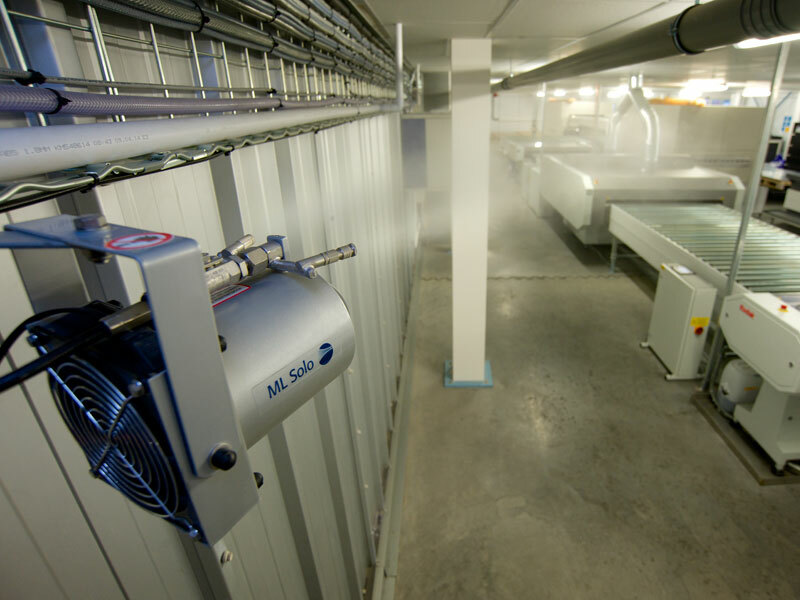 The spray head operation is virtually silent, introduces no dust to the atmosphere, is hygienic and requires only infrequent and straightforward maintenance. With a choice of colours, jet configuration and outputs, with adjustable brackets for directional orientation, they can be ceiling- or wall-mounted and suit many situations. 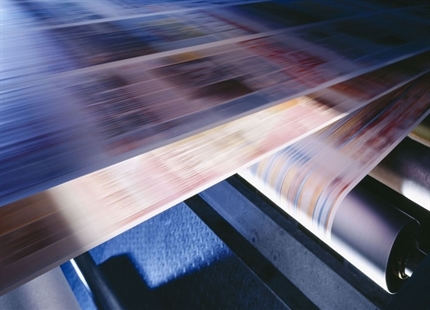 Get advice from an expert in print humidification today. Click here.